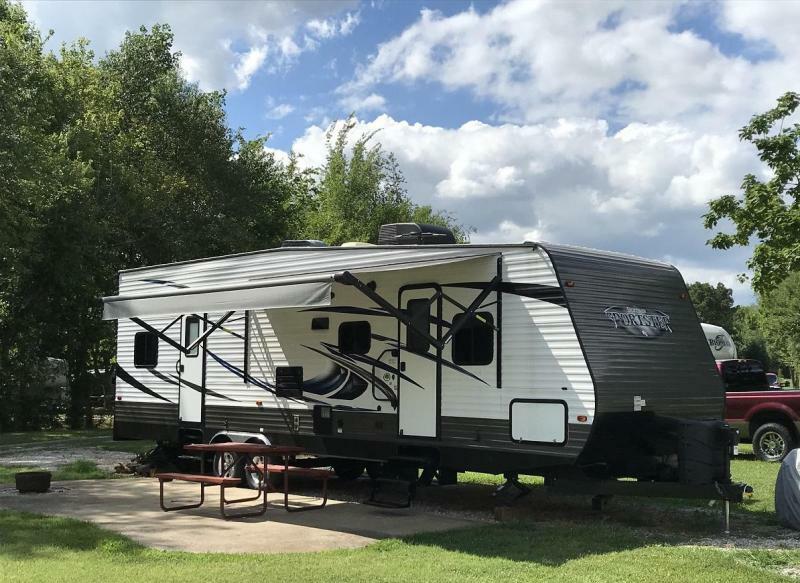 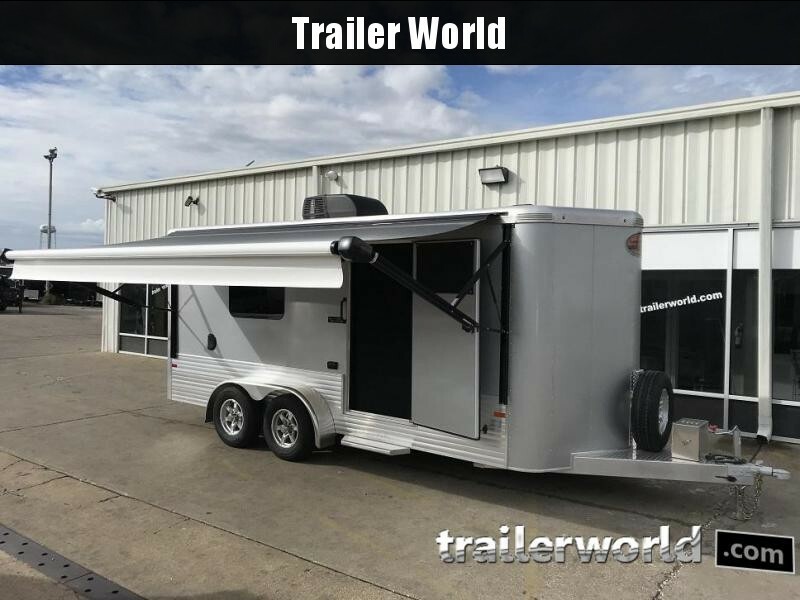 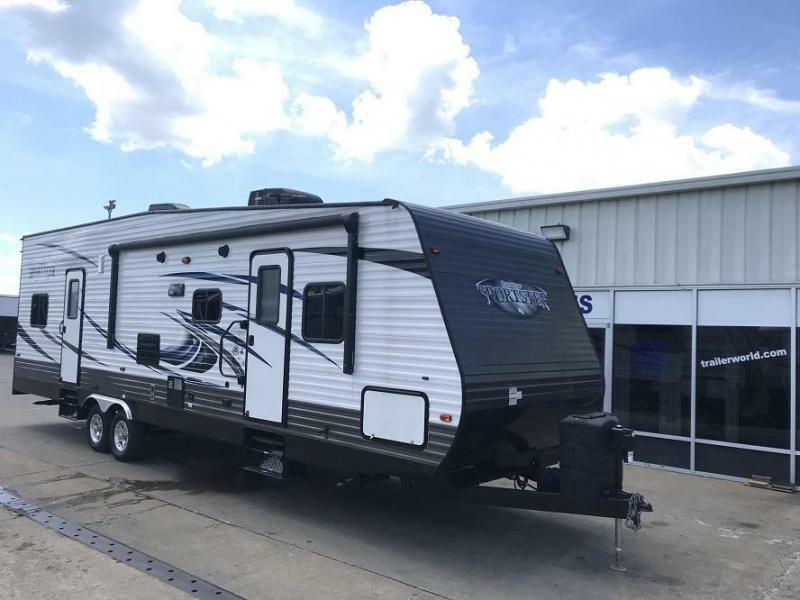 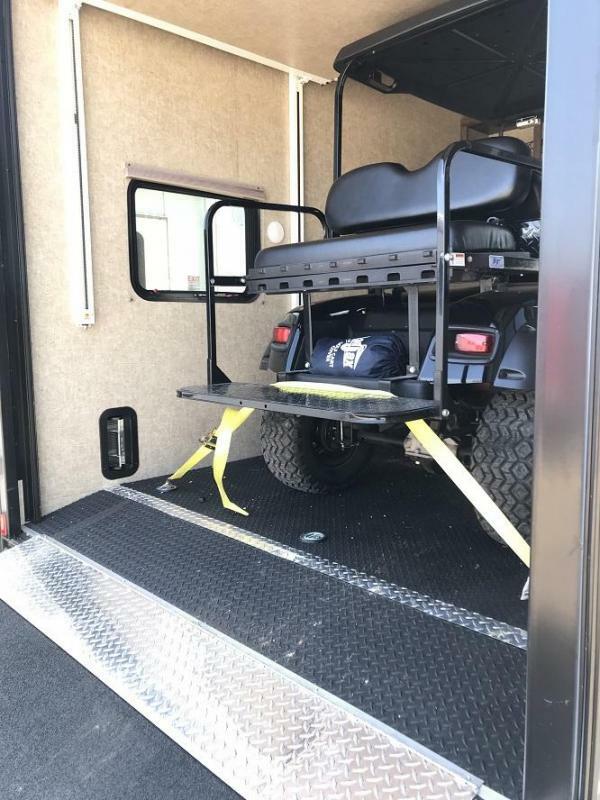 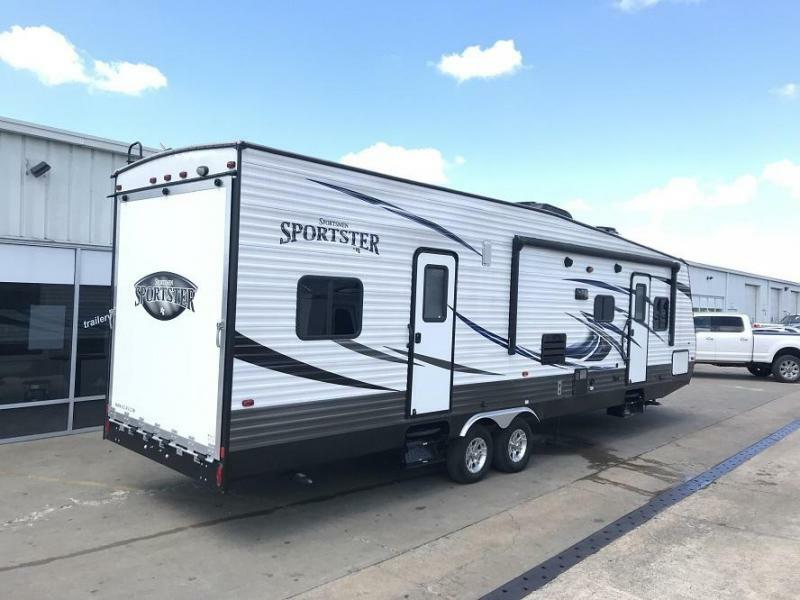 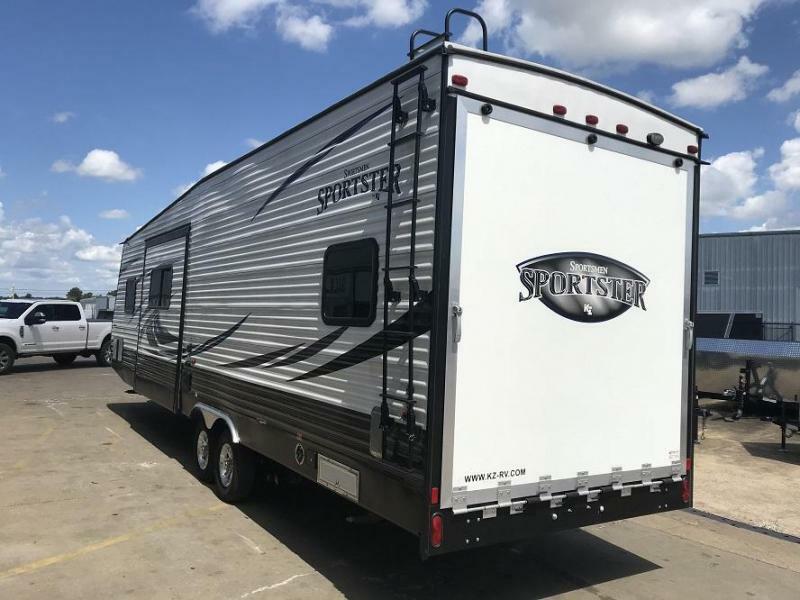 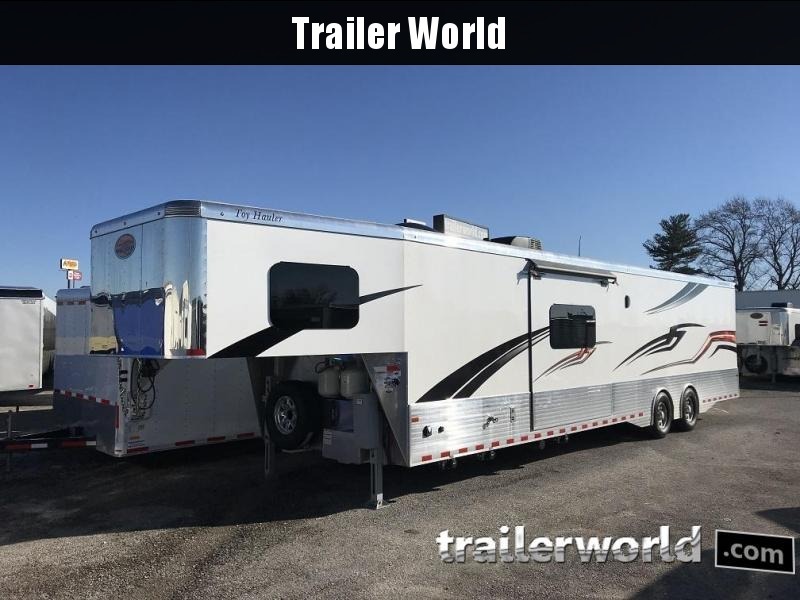 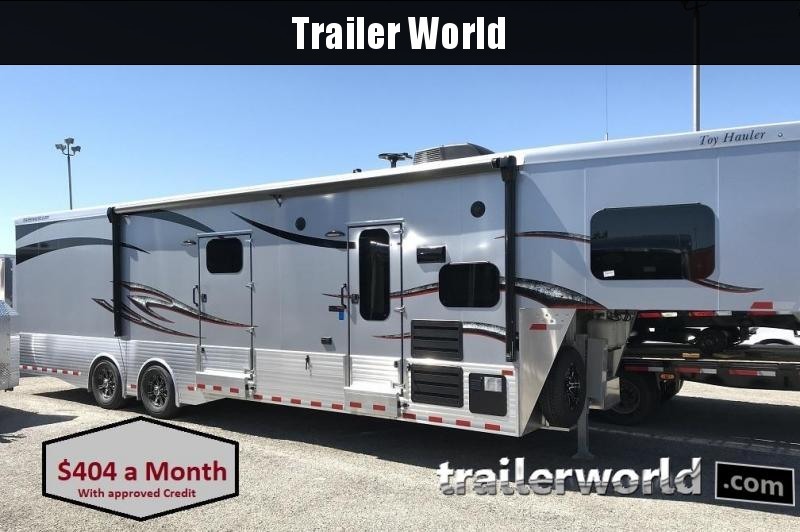 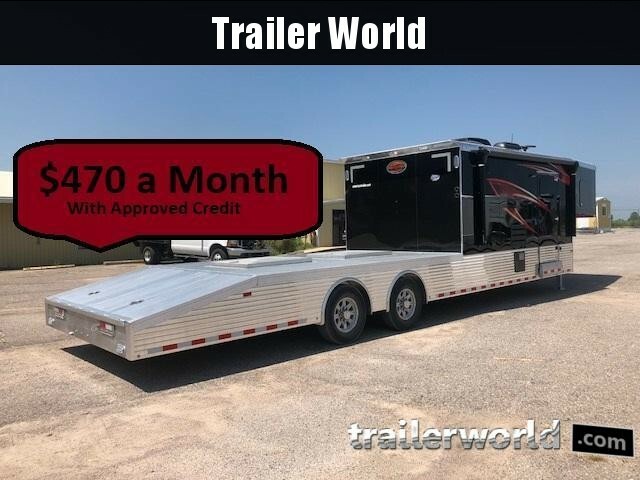 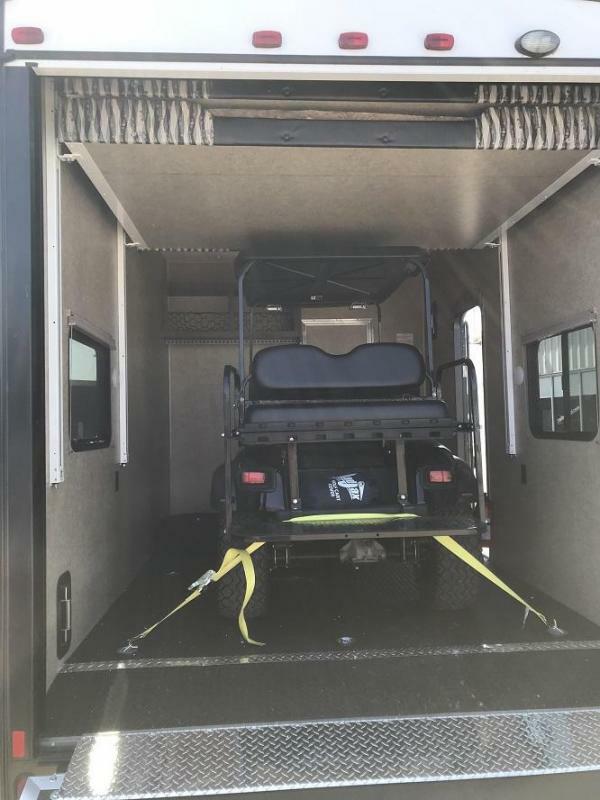 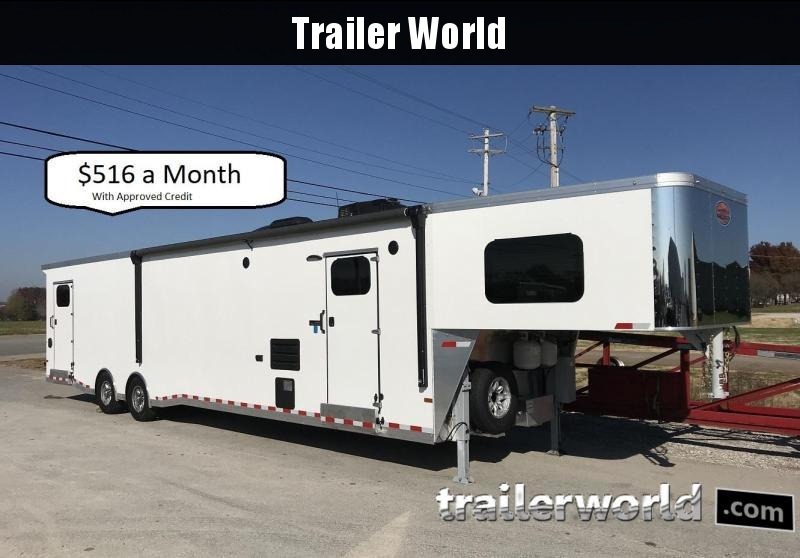 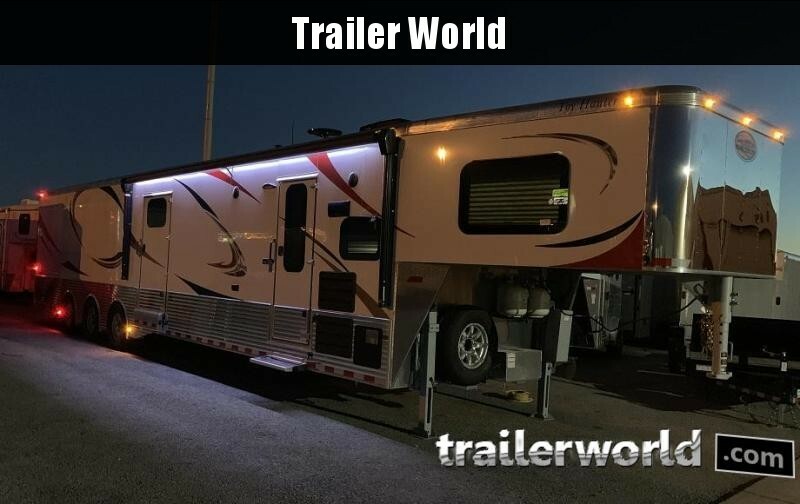 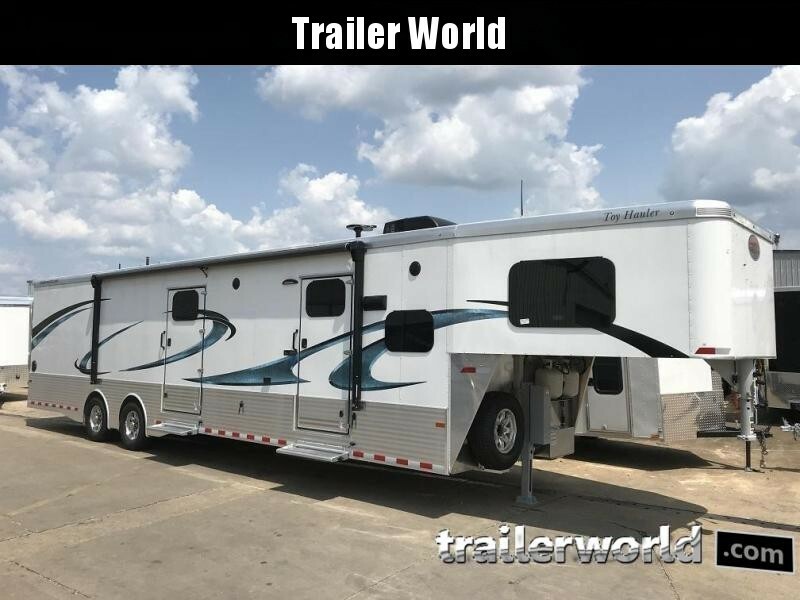 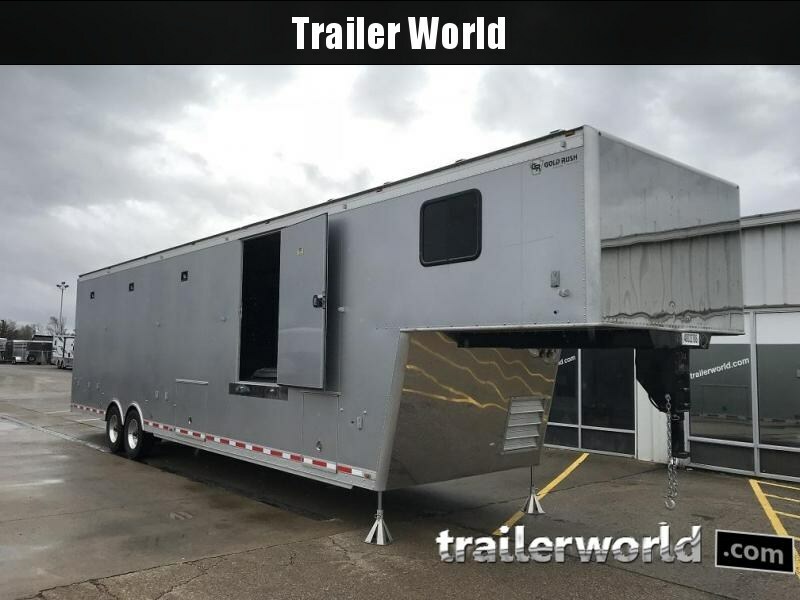 The Sportsmen Sportster 30TH toy hauler travel trailer by KZ offers a single slide, and plenty of storage for your off road toys. 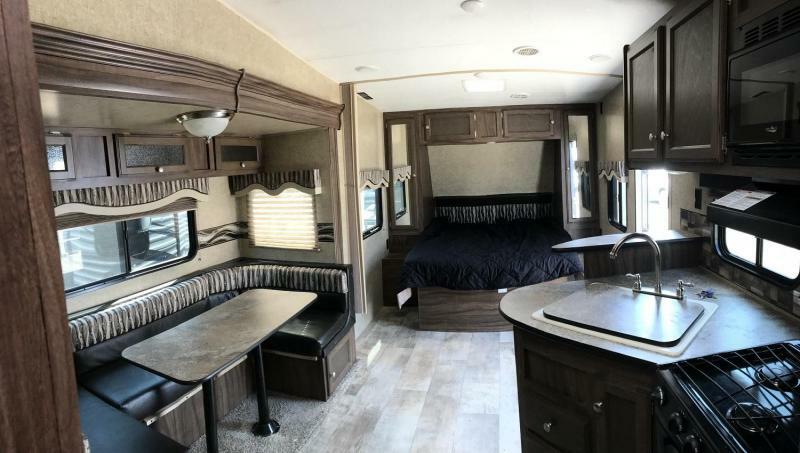 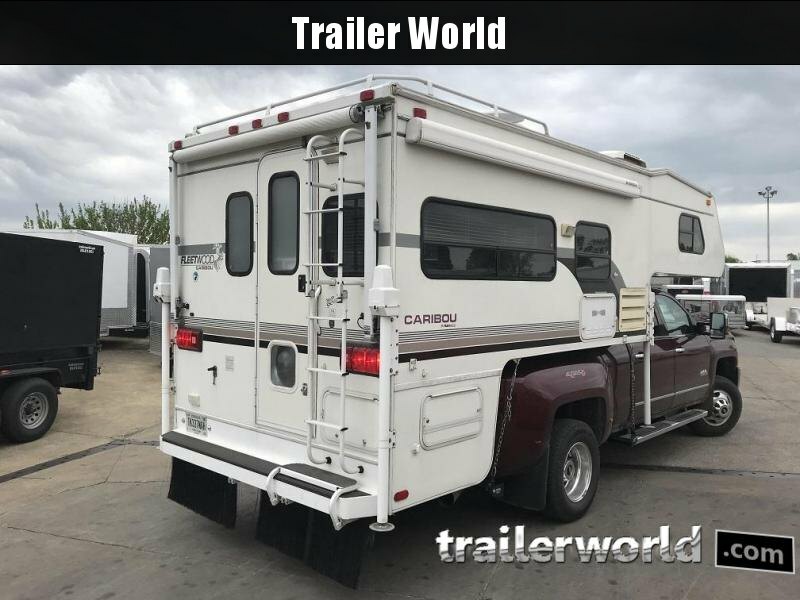 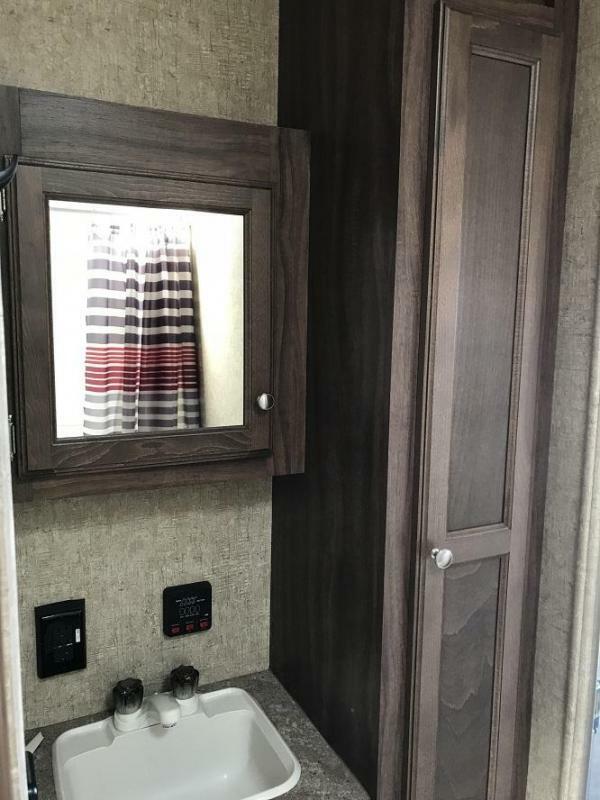 In the cargo area there is a 88" x 91" ramp door, and a 54" power bed, or you can choose an optional 60" x 86" mattress. 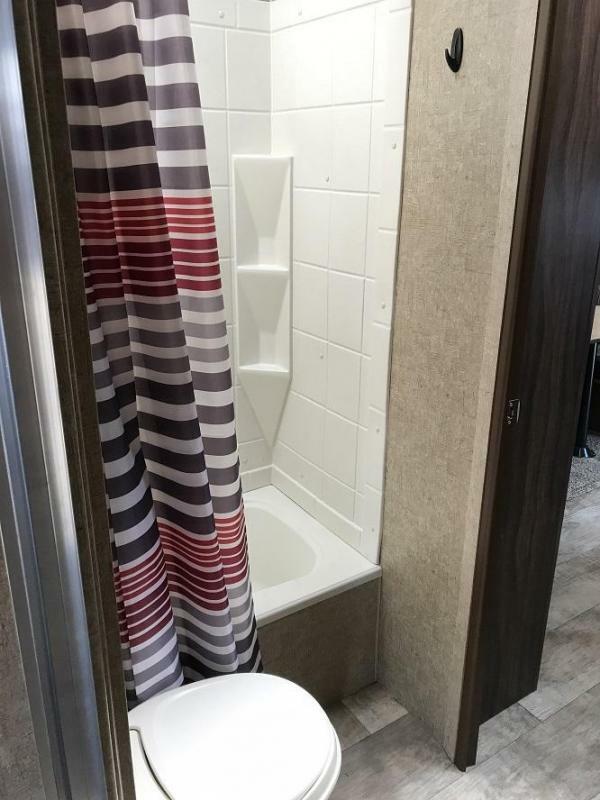 The bathroom has a linen cabinet, sink, toilet, and shower. 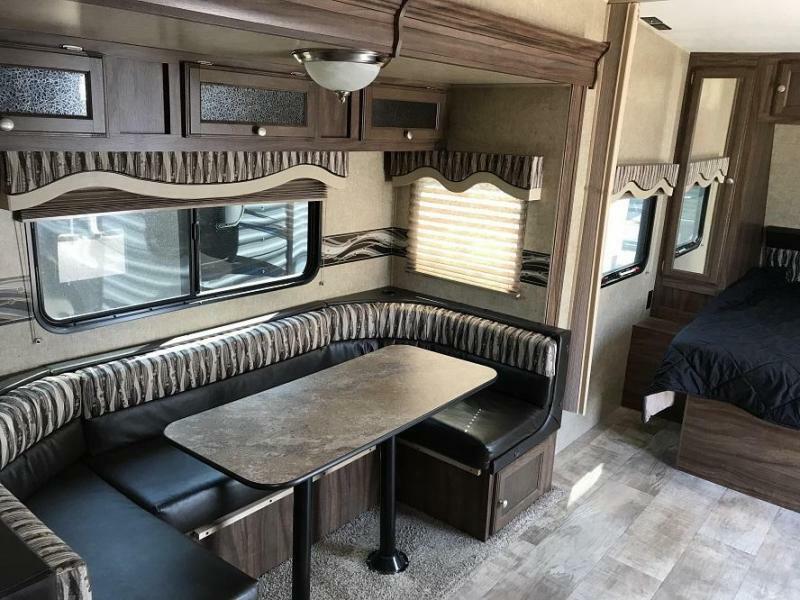 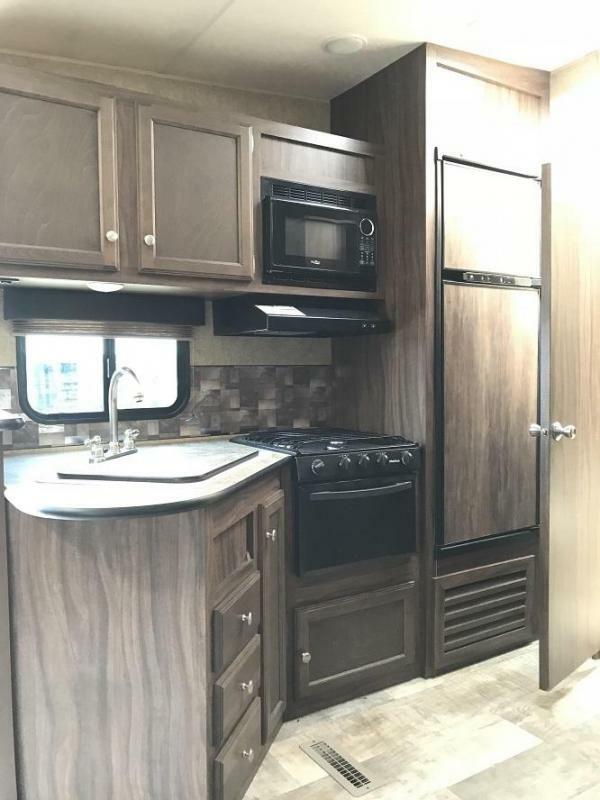 In the kitchen you will find a refrigerator, three burner range, double kitchen sink, u-dinette slide, and an entertainment center in the corner. 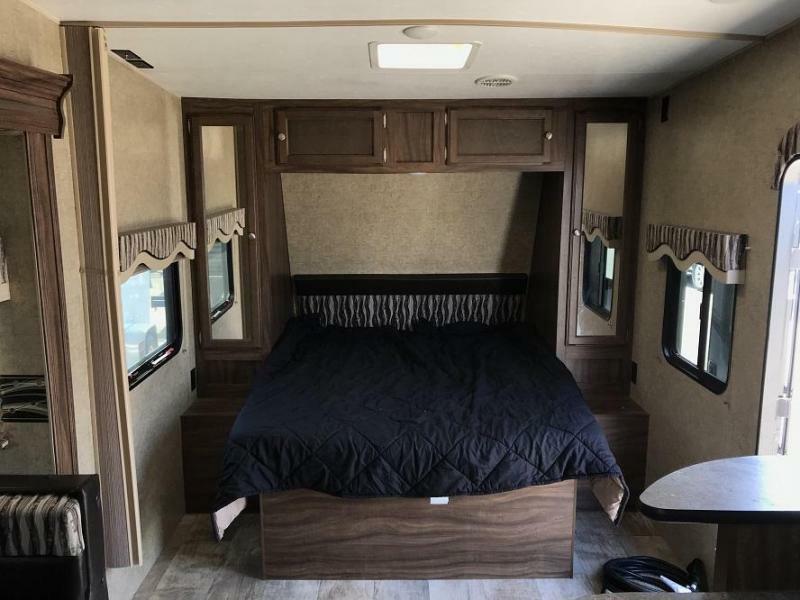 The front bedroom has a queen bed and closets on either side of the bed. 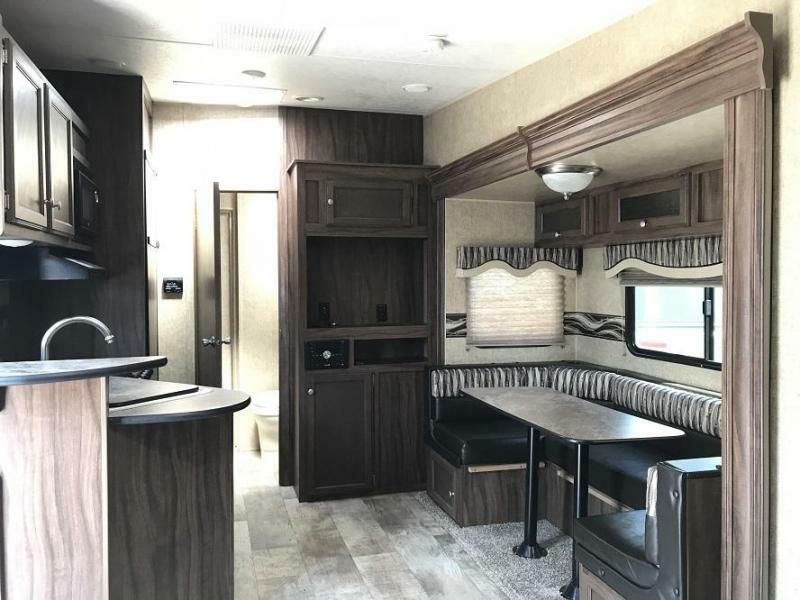 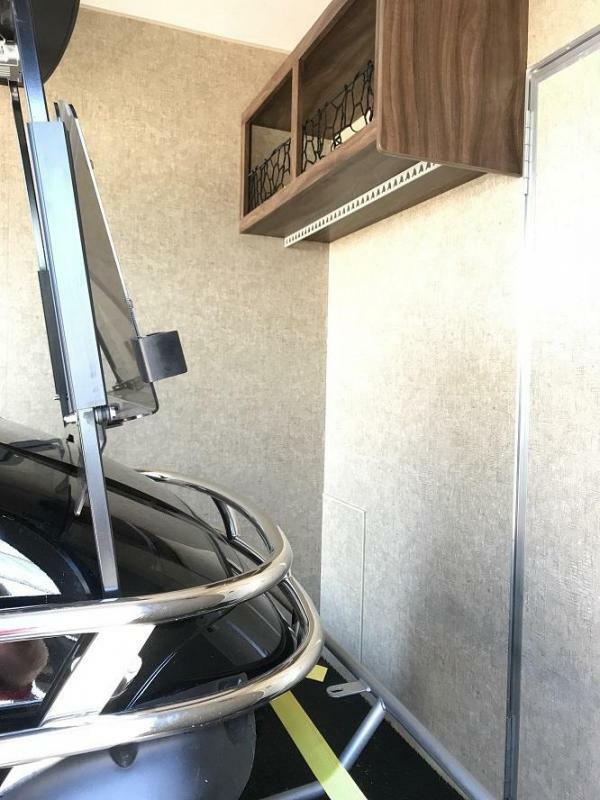 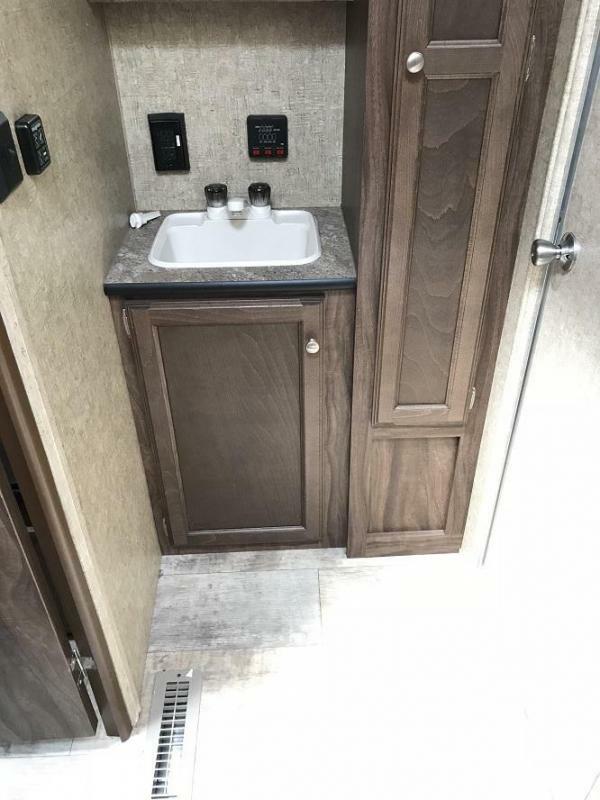 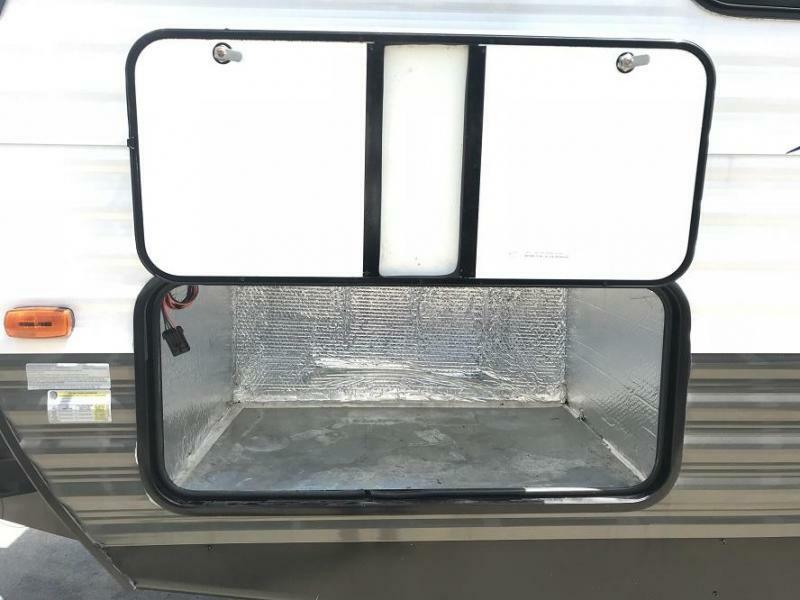 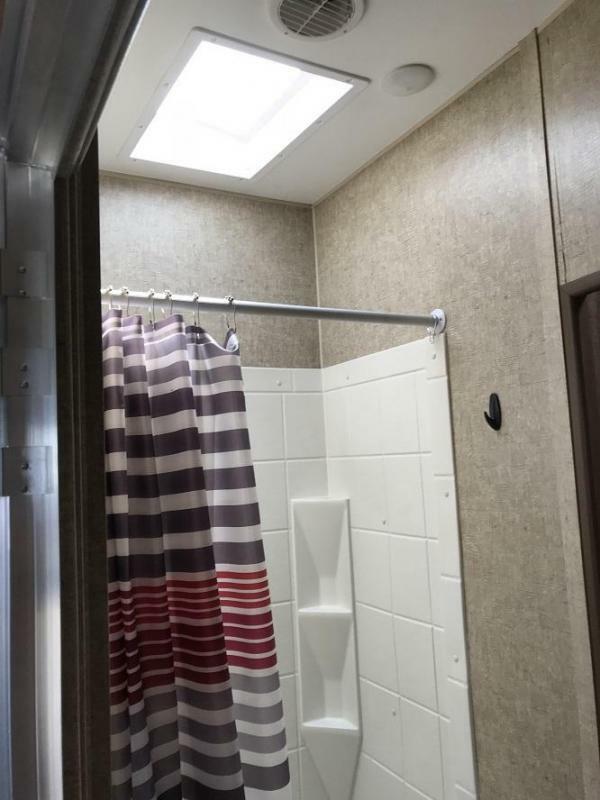 There are plenty of overhead cabinets throughout the travel trailer as well as an exterior pass thru storage.